December 19, 2013 December 19, 2013 k3fit1 Comment on Surviving the Holiday Parties on Take Care of Yourself Thursday! 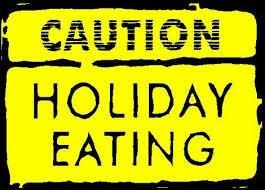 Surviving the Holiday Parties on Take Care of Yourself Thursday! The holiday parties and family gatherings are in full swing and this is that crucial time when you can really spiral out of control with eating, but it does not have to be like that at all. Did you know that the average person gains 2lbs during the holiday season? That’s just an average…I’m willing to be that most people gain a bit more than that if we are being honest! I will share some tips here to help steer you through your holiday parties without having a full on meltdown that you will feel bad about later. 1. Eat before you go, I do this all the time. I may have a green smoothie on the way there or have a healthy snack before I leave the house. So now I am nowhere near as hungry as I would have been and I am far less likely to pound down my weight in chips and hummus…..which by the way chips and hummus seem innocent enough but check the serving size on both of those and you will be shocked when you discover that you most likely are eating more than 1 serving. That’s a lot of sodium adding up and that causes a lot of bloating. Just a fun fact! 2. 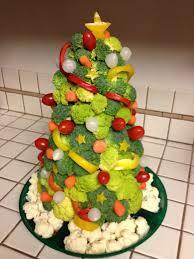 Bring a healthy dish; check my Pinterest board for a ton of great holiday recipes and all around healthy meals and snacks. You can still eat so many amazing foods that are so great for you and you will not want to take a nap immediately after. There was a time when I panicked about what will I possibly eat at parties but now I really do not think about it and I bring my own things to eat, my goals and long term health are far more important to me than a temporary satisfaction of some party foods that I don’t really want to eat anyways, I never leave hungry I just come prepared. I am definitely not in favor of skipping meals. If you are really stuck and MUST eat the foods that are there, look over the options and fill up on any fiber rich fruits and vegetables that might be there. Avoid the dips, sauces and oily options. 3. Drink infused fruit water—–Remember — many holiday drinks are loaded with calories that add up quickly! I have also found that after a few cocktails I am way more likely to make some bad eating decisions. Make your own infused fruit water mixes with lemon and cucumber or strawberry and mint. So many great options! 4. Focus on friends and conversation, not on food, I call this mindless eating, when you are just hanging close to the food and mindlessly popping one bacon wrapped scallop after another. We have all been there when we realize “WTF?! How many of those did I just eat?” Keep a mental checklist of how much you’re consuming and if you feel yourself accepting every passed appetizer, it’s your eyes telling you that you need more food, not your brain. If you disconnect from the food area and get into mingling around with people as well as maybe helping the host in the kitchen, time goes by really fast and you will steer clear of going back to the food for second and third helpings. 5. Skip the doggie box, do not take food home. If you bring these foods into your home you are going to eat them, that is the bottom line. It is OK to say no, it really is. You are only hurting yourself in the long run. If you really feel bad saying no…then say yes…then oops you “accidentally’ left it behind. Every day is an opportunity no matter the day or the year to treat your body right by eating good and moving around. Don’t waste a single day because someday you will be out of time. Previous Healthy Lifestyle Gifts for Your Kids This Christmas! Next Special Edition Smoothie! Banana Up On Christmas Eve with Elfie!